One of the best places to find references for Blender related material is Blend Swap, where you can find all sort of things uploaded by Blender users. There are free 3d models of furniture, procedural textures and much more. If you don`t have an account there, I suggest you to get one, which is required to download anything. 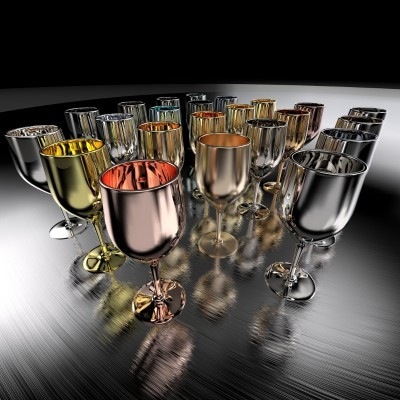 My latest discovery there is a nice collection of metallic materials for Blender Cycles. To use them on your project, just append the material from the file you download from Blend Swap here, and you will get it available for any object at your scene. The file has a creative commons zero license, which means that you can do whatever you want with the file, and don`t have to mention the author. But, it is always good to give credit for other people`s work! The author of those materials is called BroadStu.